We have been thrilled with Diva Dogs! Our 6-month old puppy, Bodhi, adores Cindy and Jerel and looks forward to her walks and “pawdicures.” We are so happy to have found people whom we can trust with our baby, and who clearly love her and care about her as much as we do. Cindy’s training has helped Bodhi to become a much better behaved dog, and she’s picked up some new tricks as well. When we go out of town, we feel safe knowing that Bodhi is in the best of hands with Diva Dogs. Bodhi is a big fan, and so are we! I truly appreciate the convenience of having you come to our home. Jerel is so good with my puppies and he does a wonderful job grooming them and they love him. Makes it so easy for me to have it done here and they look beautiful when they are done. Thank you! 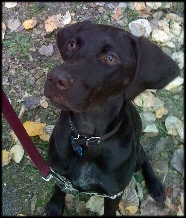 We have used Diva Dog’s to walk our year old black lab for about 3 months. 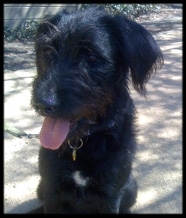 Our dog, Shelby, is incredibly full of energy, and walking her was an exercise in patience and arm strength. She would pull, bark, and never heel. Cindy from Diva Dogs has really helped Shelby calm down in the short time she has been walking her. Shelby is still very energetic but she is much better on walks, she heels generally, and when she forgets, a quick reminder gets her back in line. Cindy uses healthy food treats as an inducement to good behavior and the improvement has been significant. 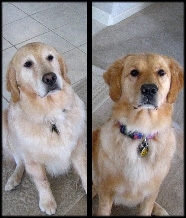 Cindy has also been very helpful in giving us tips and advice on how to continue Shelby’s training. 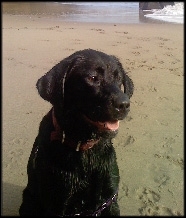 Diva Dogs also has periodic ‘beach’ trips which are really great for the dogs. I would recommend Diva Dogs without hesitation. I recommend Diva Dogs WHOLEHEARTEDLY! Both Cindy and her husband Jerel are great with dogs and put lots of care into what they do. On a couple of nights when I’ve had late meetings at work, they have picked up Kodi from his “daycare”, taken him home, fed him dinner, walked with him outside and secured him in the house. Last month Kodi received a luxurious bath in Jerel’s mobile grooming van; Jerel was great at gently and patiently calming Kodi and getting him comfortable in the unfamiliar space! It is very important to me that Kodi be in safe and qualified hands and I have found Diva Dogs to be very reliable and conscientious. Both Cindy and Jerel are easy (and fun!) to communicate with… for both people and dogs. Thank you SO much for all your help! I think you took better care of Hunter than we do ;). Thank you for cleaning his ears, giving him a bath! and just loving him so much. It made such a difference knowing that you and Jerel were there loving our little guy. Montana is on a regular schedule for spa treatments with Jerel. We look forward to the bathing and nail trimming to keep clean and healthy. Cindy will make a note of anything out of the ordinary she notices about Montana. I also have peace of mind while traveling when Montana stays at the Bed & Biscuit.